Figure 3. Fuel Oil Pressure Switch. Wrap new fuel oil pressure switch (Figure 3, Item 2) threads with antiseizing tape. Install fuel oil pressure switch (Figure 3, Item 2) in mount fitting (Figure 3, Item 3) by turning clockwise. Tighten fuel oil pressure switch (Figure 3, Item 2). Connect wiring (Figure 3, Item 1) to fuel oil pressure switch (Figure 3, Item 2) and remove tags. 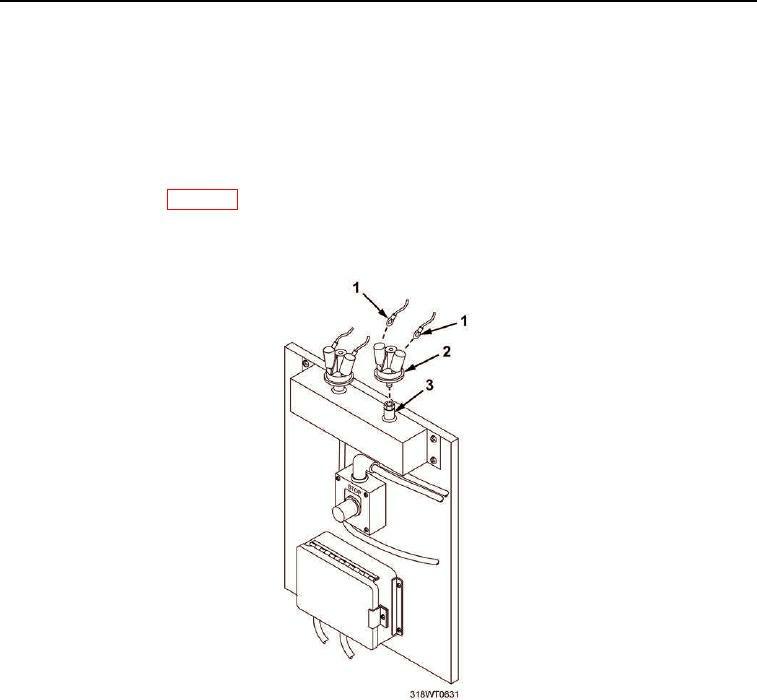 Check fuel oil pressure switch (Figure 3, Item 2) for leaks.